Below are the original photos used in the montage in my post of November 11th, 2009. All images are copyright On An Overgrown Path 2009. 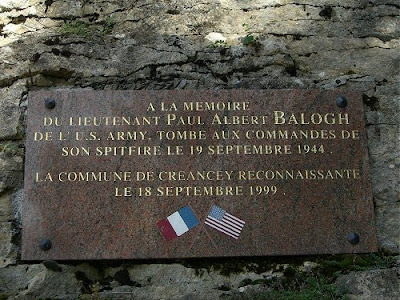 In the memory of Lieutenant Paul Albert Balogh of the US Army, who perished at the controls of his Spitfire on Sept. 19, 1944. The commune of Créancey remembers. There is more information on the crash against the date Sept. 19 (not 18), 1944 on this French website. This tells us that Lieutenant Balogh was based at Mount Fram, Oxfordshire with 14th Photo Reconnaisance Squad. He was awarded a Purple Heart and is buried in the American cemetery at Epinal. 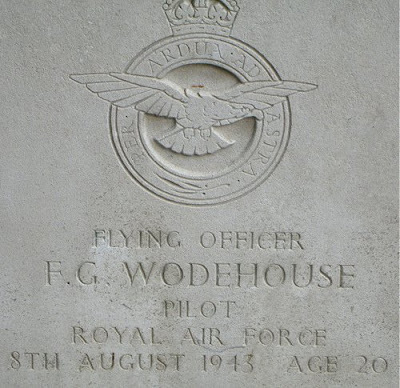 More about Flying Officer Wodehouse, who came from Norwich, UK, can be found here. 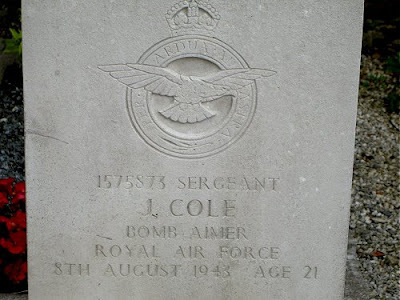 The pilot, Bomb Aimer J. Cole and the rest of the crew of the Lancaster are listed as 'Missing Believed Killed In Action' in Flight magazing Oct 14, 1944. If anyone still has any doubts about the horror of war they should look at the lists of loses in that archived page of the weekly magazine. The posting date for these photos has been deliberately misstated so they do not appear among current posts in Nov. 2009.